2018 Class 2A champion Minnetonka had three players named to the Associated Press' all-state teams, the most of any school. 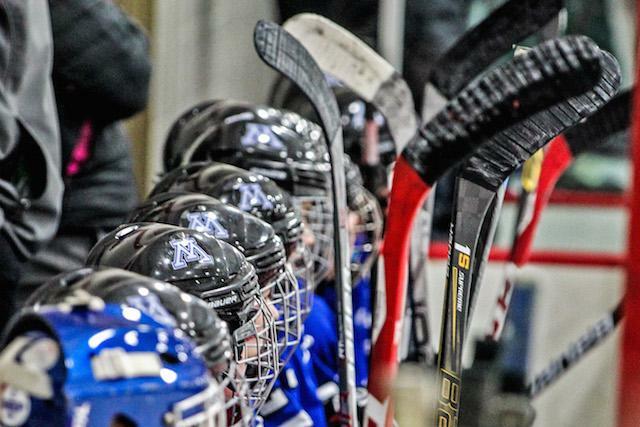 Minnetonka and Orono were recently crowned the two best teams in Minnesota high school hockey earlier this month. But now, it's time to honor the state's best individuals. The Minnesota Hockey Coaches Association recently released the 2018 Associated Press all-state teams. These squads feature some of the best players from around the state. These teams are voted on by statewide media, and are presented through a partnership featuring the AP, the coaches' association and State of Hockey, a Minnesota Wild-backed booster organization. The first team includes Edina senior forward Sammy Walker. The 2018 Mr. Hockey award winner, Star Tribune Metro Player of the Year and University of Minnesota commit was named the AP's Player of the Year to go along with his first team honors. Minnetonka, the 2018 Class 2A champion, leads the way with three players making the all-state teams, though no Skippers made the first team. However, they did have the lone sophomore selected in forward Bobby Brink. The Denver University commit had a team-best 35 assists this season. Among the top individuals on this list is Elk River's Jack Perbix. The junior forward and Notre Dame commit had a state-best 42 assists in the regular season and will look to bring the Elks back to the 2019 state tournament. Check out all three teams below.